A leading traditional Irish ensemble comes to the Hylton Center for this big pre-St. Patrick’s Day celebration of festive Celtic music. 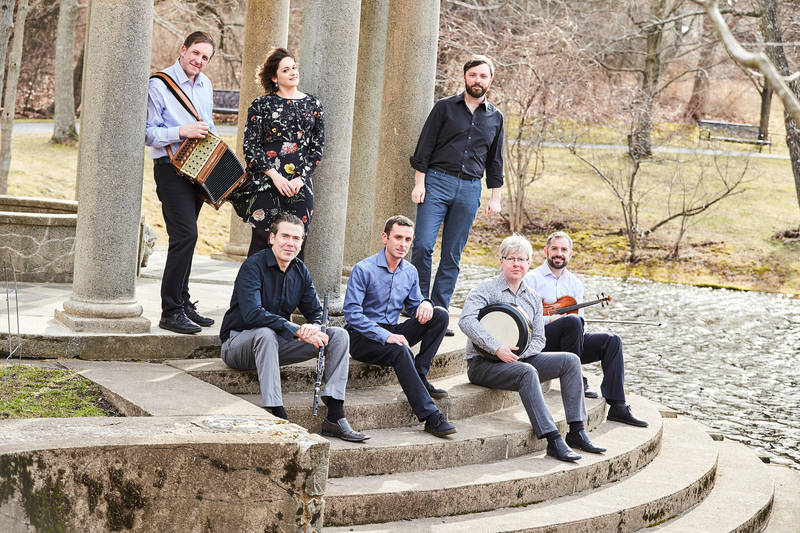 Praised by The Washington Post for their “vibrant mix of virtuosity, energy, and empathy,” Danú performs both ancient Irish music and new repertoire for a lively, flawless performance. Mason’s University Singers, a talented student ensemble from George Mason University’s School of Music, join them onstage for a one-of-a-kind experience. Hailing from Ireland’s old counties, this award-winning ensemble has thrilled audiences throughout Europe and North America with stops at the Hollywood Bowl in Los Angeles and Symphony Space in New York. The virtuoso players are renowned for their mastery of authentic Irish instruments—flute, tin whistle, fiddle, button accordion, and bouzouki—which is matched by gorgeous vocals in English and Gaelic. Bring the whole family to enjoy this entertaining evening of Celtic music!